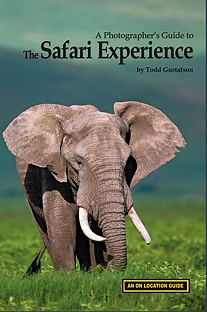 TODD’S GREAT NEW SAFARI NEW BOOK! We gladly accept credit card orders by phone from 8am till 7pm Eastern Time ( 8 am till 3pmFridays and some weekends). You can use the PayPal links on the web site to order anything. Just type in the item(s) and the amount. If using your own PayPal account, please send to either of the e-mail addresses above. Note: maximize this e-mail for best formatting. Important Request: if responding to this e-mail, please take the time to delete all images and all irrelevant text. Canon 70-200mm f/4 L IS lens (handheld at 70mm) with the Canon EOS-1D MIII. ISO 500. Evaluative metering +1 stop: 1/500 sec. at f/4.5. Barring anything unforeseen, we will be sending a Bosque Site Guide update on Wednesday, December 10. It will contain valuable up-to-date info that will be helpful to those visiting this year, especially to those who will be visiting this month. I will be updating the pre-dawn strategy, letting you know which is the best crane pool for evening silhouettes (and why), and adding info on a second great duck site. If you have previously purchased the Bosque Site Guide and do not receive it by close of business Thursday, please shoot us your current e-mail address and let us know how you paid so that we can send you the update. You can learn more about the Bosque Site Guide here: http://www.birdsasart.com/siteguides.htm#BOSQUE%20SITE%20GUIDE%20NOW%20AVAILABLE! Canon 800mm f/5.6L IS lens with the Canon EOS-1D MIII on the Mongoose M3.5 (http://tinyurl.com/68nxhy) atop the Gitzo 3530 LS CF tripod (http://tinyurl.com/65edtk). ISO 1600. Evaluative metering +1 stop: 1/800 sec. at f/8. I noticed the small yellow cloud while scanning the western sky for subjects and thus was ready to press the shutter button at just the right moment. Though I have been visiting Bosque for 14 years, it was not until this year that I realized which of the two crane pools is absolutely best for creating crane silhouettes. I will share that info with you in the Bosque Site Guide update that will be sent later this week. The next Bulletin will contain the complete 2008 Bosque IPT report. 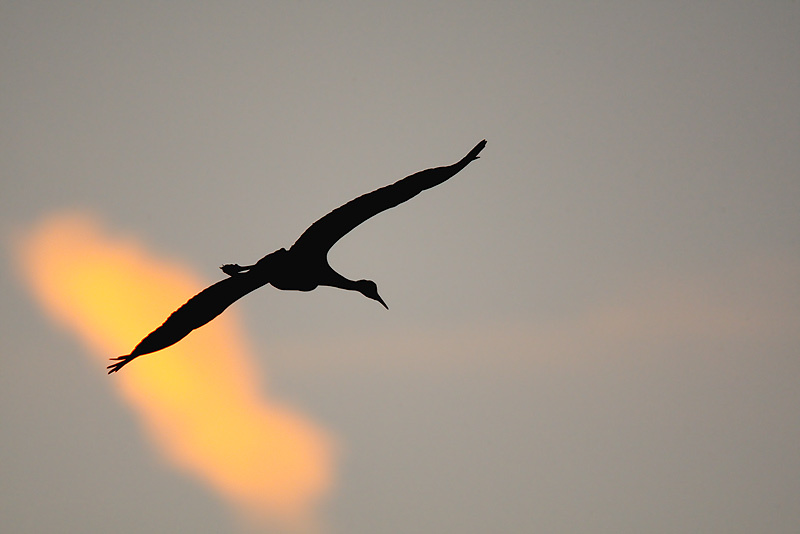 Right now, conditions at the refuge are excellent and everyone is encouraged to visit. Please remember to patronize the folks who supported the Bosque Open Windows Volunteer Project so generously: the Socorro Super 8 Motel (call 575-835-4626 for reservations) and K-Bob’s, conveniently located right next door to the Super 8. Their salad wagon and the fajitas are always great. (I go for the chicken and steak combo fajitas—no green peppers, extra onions. PS- Thanks so much for the Gannets Galore link ! I am very interested I will call you later in the month. And Happy Holidays too! Next year, I will be leading a 7-day Bosque IPT as below. If the Australia trip is a go, it will be the only 2009 Bosque IPT. Bosque IPT #1: “The Complete Bosque Experience.” NOV 21-27, 2009. Slide program on the evening of Friday, NOV 20. 7-FULL DAYS: $3199. Limit: 10/Openings: 10. Co-leaders to be announced. Non-refundable deposit: $500 per person (Deposits may be paid by check, Paypal, or credit card.) Please note our new cancellation policy: A non-refundable deposit is required to hold a spot for each BAA IPT, Photo-Cruise, or Photo-Safari. Payment in full (payable only by check) is due four months before the start of the IPT and is non-refundable unless the IPT sells out (10 in this case). You will be required to sign a statement to this effect. Travel insurance is of course highly recommended. Canon 24-105mm IS L lens (at 32mm) with the Canon EOS-1D MIII (mounted on the Giotto’s tiny ballhead via a Wimberley P-5 camera body plate). ISO 400. Evaluative metering +2/3stop: 1.6 seconds at f/4. 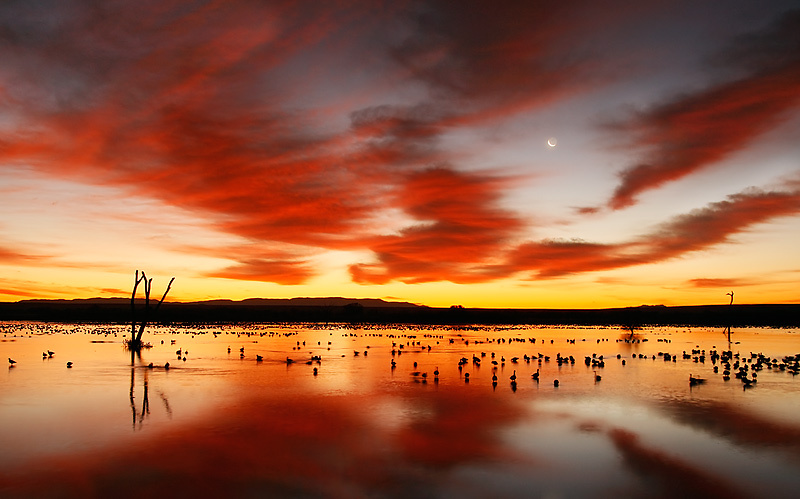 The first Bosque IPT group was blessed with two mega sunrises, the second with one. This is day 3 on the first IPT. I keep the Giotto’s tiny ballhead (http://www.birdsasart.com/giottos.htm) either in a vest pocket or in my rolling bag (when working close to my vehicle). If I am doing lots of short lens/slow shutter speed scenic photography (as I often do at Bosque), I keep the Wimberley P-5 plate on one of my three Mark III bodies, otherwise I “store” it in the clamp of the ballhead. 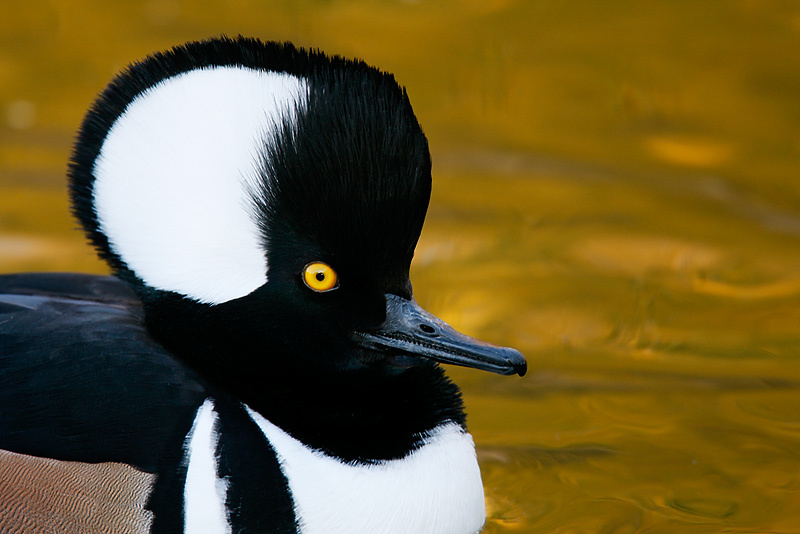 Join acclaimed bird photographer, educator, and tour leader Arthur Morris for five days of intensive nature photography instruction in beautiful Morro Bay, CA. In-classroom sessions will be held at the Lepp Institute of Digital Imaging in nearby Los Osos, CA. With the group size limited to ten and a minimum of 40+ hours of instruction there will be great opportunities for you to improve both your in-the-field and Photoshop and Lightroom skills. (Note: all Lightroom instruction by Hal Schmitt.) The Monday program will consist of a full day of in-classroom instruction. Tuesday through Thursday will combine morning and possibly afternoon photography sessions with mid-day image editing and optimization sessions. Monday thru Thursday will include informal evening sessions from 7-9pm and a 90 minute midday break. There will be a morning photography session on Friday. In-classroom/Monday: Putting Art in Your Nature Photography: Composition and Image Design, Understanding Digital Exposure via the Histogram, Understanding and Using Natural Light, Tripods, Heads, and Sharpening Tips, Lenses and How to Use Them, Better Beamer and Flash set-up Demonstration, Understanding Flash as Main Light, Flash as Fill, and Manual Flash, Getting Close; Is it Magic?, and Using Shutter Speeds Creatively, What’s the Big Deal with Depth-of-Field? Tuesday thru Friday In-classroom: Downloading, Editing, and Optimizing your images in Lightroom 2.0 and Photoshop, Shared and Group Image Editing, Converting Your RAW Files and Recovering Detail in Over-Exposed RAW Files, Workflow Basics: Dust Spotting, Cropping, and making Shadow Highlight, Levels, Hue-Saturation, Curves, and Selective Color Adjustments, Advanced Photoshop Techniques: Expanding Canvas, 1,000 Uses for Quick Masks, Average Blur Color Balancing, Leveling the Horizon, Creating Actions, Batching, Making Selections, Why Refine Edge is Superior to Feathering, Making Adjustments to Selected Areas, Dealing with Bright Pixels, , Clone Stamp Tips and Tricks, Using the Patch Tool--It is Magic. Using the "Divide and Conquer" and "Protect and Defend" Techniques to Clean Up Distracting Background Elements, Digital Eye Doctor Techniques, Dealing with Reds and Yellows, Using PhotoMerge to create Panoramic Images, Levels Adjustment Trick for Silhouettes, and lots more. Guided Optimization of New Images. Wednesday thru Friday: Making test prints on Canon printers and creating at least 1 professional size print (perhaps more depending on time). Thru Friday afternoon at 3:30pm. Schedule/Monday (all times approximate): 9-noon/Slide Programs, Demos, and Discussion. Noon-1pm: lunch. 1pm till 2:30pm: break. 2:30-5:30 pm: Slide Programs, Demos, and Discussion. Schedule/Tuesday-Friday (all times approximate): Dawn till mid-morning (weather permitting): In-the Field Instruction and Photography/Morro Bay. 11am: lunch. Noon till 1:30: break. 1:30 till 3:00: Photoshop sessions and image review and optimization. 3 pm till sunset: Either In-the Field Instruction/Morro Bay photo session or Photoshop/Printing sessions. Dinner: as time permits… Evening sessions (daily except Friday): after dinner till 9pm. The length of the various sessions may be changed at any time by the instructor to best meet the needs of the group. Practically Private Bird Photography Weekend/Lidi Master Series/ January 17-18, 2009, 2 FULL DAYS: $1250. (Sold out.) . TODD’S GREAT NEW SAFARI BOOK! Here is a blurb that I wrote for the book: “Todd’s knowledge of the game parks and animals of East Africa is vast, and in his new book, he shares with you not only that knowledge but the photographic techniques that he has developed and used over the past decade. Whether you are just dreaming of a trip to Kenya or Tanzania of have been there many times, this book will prove to be both an extremely useful and educational resource as well as a huge inspiration. Simply put, the number and the quality of photographic tips offered in this book is incredible. We accepted delivery of 500 copies of “A Photographer’s Guide to The Safari Experience” this past week and are proud to be the first to have it available for sale. Your copy is available for $29.95 plus $5 shipping and handling via US Mail book rate to all US addresses, plus $10 to Canada, or plus $18 to all overseas addresses. Paypal, check, or credit card payment by phone (863-692-0906) are all fine. Florida residents please add tax on the book only bringing the total to $37.05. SW FLA POST X-MAS IPT: DEC 27-29 or 30, 2008. Slide program on the evening of DEC 26. 4-DAY: $1799. (3-DAY OPTION: $1349). Limit: 10/Openings: 5. Co-leaders: Robert O’Toole and Alfred & Fabiola Forns. This IPT is shaping up to be a practically private affair; we may very well wind up with more leaders than participants. If you can fit this IPT into your holiday schedule, do consider joining us. There is some truly great photography available in Florida while winter is setting in in most of the country... Call now for late registration discount! As I am teaching less and less a spot on any IPT will be hard to secure in the future…. Canon 800mm f/5.6L IS lens with the 1.4X II TC and the EOS-1D MIII on the Mongoose M3.5 atop the Gitzo 3530 LS CF tripod. ISO 800. Evaluative metering +1/3stop: 1/80 sec. at f/8. Fill flash at -1 stop with Better Beamer (http://www.birdsasart.com/accs.html#BEAMER) and the Mongoose Integrated Flash Arm (http://tinyurl.com/67aexz). I am absolutely in love with the Canon 800mm f/5.6 IS L lens. A full review of this lens will be in a Bulletin before the end of the year. I have already sold one of my two 500mm f/4L IS lenses and will be selling my 600mm f/4 L IS as well. 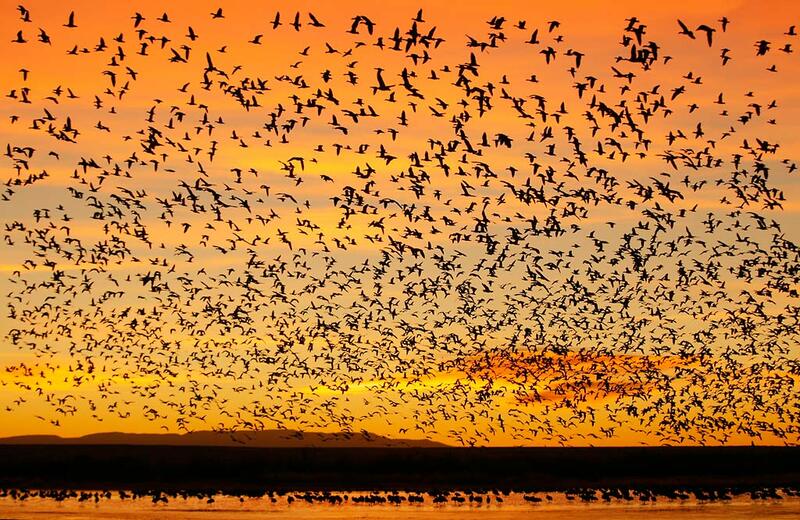 The location of this image will be included in the Bosque Site Guide update. SW FLA POST X-MAS IPT: DEC 27-29 or 30, 2008. Slide program on the evening of DEC 26. 4-DAY: $1799 (3-DAY OPTION: $1349) Limit: 10/Openings: 5. Co-leaders: Robert O’Toole and Alfred & Fabiola Forns . This IPT is shaping up to be a practically private affair. If you can fit it in your holiday schedule, do consider joining us. There is some truly great photography available in Florida while winter is setting in in most of the country... Call for late registration discount! SW FLA PRESIDENT'S DAY IPT: FEB 13-17, 2009. Slide program on the evening of FEB 12. 5-DAY: $2249 Limit: 10/(Sold Out.) Co-leaders: Robert O’Toole and Scott Bourne. POST-NANPA 2 ½ DAY BOSQUE IPT. FEB 22-24, 2009. 2 1/2-DAY: $799. Limit: 15/Openings: 9. Best combined with my Sunday morning NANPA Summit program: "Photographing Bosque Del Apache: In-the-Field Strategies and Post Processing Techniques" Sunday FEB 22, 2009. (Registration for the Sunday program through NANPA only.) Photograph Sunday afternoon till sunset and all day Monday and Tuesday. Bear Boat #1: June 4-10, 2009. Openings: 3. (It is advised that you be in Anchorage on the afternoon of June 2nd to be assured of not missing the boat!). This trip will feature an afternoon (and possibly more) of otter photography (weather permitting), Bald Eagles with chicks in the nest probable, puffins possible, and lots and lots of coastal Brown Bears clamming and eating luscious green grass. Bear Boat #2: Sept 4-10, 2009. Openings: 3. (It is advised that you be in Anchorage on the afternoon of the September 2nd to be assured of not missing the boat!). This one is the bear s catching salmon trip. In addition, Glaucous-winged and Mew Gulls eating roe ar e a certainty, and d ar k phase Northern Fulmar s and Black-legged Kittiwakes (including the gorgeous immatures), Harbor Seals, and Stellar ’s Sea Lions are likely. Did I mention b ar s catching salmon? And more bears catching salmon? Rates for the 2009 trips have increased due to increased fuel costs. Bear Boat #1 (cheaper by $250 as we use the float plane only once): $6749. Bear Boat #2: $6999. Two slots are filled on each trip. Greetings to all my BIRDS AS ART friends. I hope that you enjoyed a wonderful Thanksgiving and I am wishing you a continued Happy Holiday Season. I appreciate all of your business and support extended to me over the past year as I look forward to obliging you for many years to come. On most orders placed with Hunt’s, BIRDS AS ART subscribers receive free shipping. The New Canon 5D MKII is now shipping. Hunt’s has received its first shipment as of this week. I am filling orders for those currently on the pre-order waiting list as swiftly as possible. If you are not on the pre-order list but are interested in purchasing the 5D MK II, please send me your phone number and email address and ask to be placed on the waiting list. We also have a limited supply of the Canon LP-E6 battery (for Canon 5D Mark II) in stock. Please contact me for details. For a very limited time, Hunt’s is offering the Canon EOS-50D body, the 50D with the 28-135 lens, the 50D with the 18-200 lens, and the Canon EOS-1Ds Mark III at deals too low to put in print. Call for details. Currently is stock is a limited supply of the Canon 800 5.6 IS lens. Contact Gary for the price. We are now a dealer for all Kirk Enterprise products. Nikon has announced the new D3X priced at $7999.99. This is scheduled to ship during January 2009. Pre-orders are now being taken. If NPS members would like to place an order, contact me (Gary) for complete details. The new Hoodman Loupe 3.0 (for larger cameras) has started to ship: $79.99 with free shipping. Note: We currently have a very limited supply is in stock. More are expected to arrive soon. Note: Arthur Morris has been a Canon contract photographer, part of the Explorers of Light program, since 1996 and continues in that role today. Hunt's Photo of Boston, MA is a BAA sponsor as is Delkin Devices. Back issues of all BAA Bulletins can be found in the Bulletin Archives which may be accessed from the home page at www.birdsasart.com. To unsubscribe please click here: unsubscribe.